The Alcatel-Lucent MPR-9500 is a microwave packet radio that’s designed to maximize spectrum utilization. It has the potential to reduce total cost of ownership for your overall network thanks to a smart design that puts a priority on intelligent packet technology and management. In the standard configurations, Alcatel-Lucent MPR-9500 units are configured in a split mount option with the MSS-8 shelf mounted indoors and the ODU mounted outdoors on a tower. This allows the MSS-8 shelf to be connected to the ODU with a coax cable and the ODU can be direct-mounted to the antenna or mounted on the tower and connected via flex waveguide. Supported modulations for refurbished Alcatel-Lucent MPR-9500s include 32, 128 and 256 QAM. Channel spacing options include 10, 30, 40 and 50 MHz. Features also include unprotected, 1+1 HSB & SD/FD radio protection, up to 6 radio directional support, SW License control, SNMP v2 support and support for both TSM8000 and 1340 INC.
We invite you to review these specifications to see what fits best with your network and choose the right option for you. Our consultants are also happy to help — just use the contact link at the top of the page to get in touch with us. The Alcatel-Lucent MPR-9500 is an optimal choice for urban links with support for a variety of frequencies, antenna mounts and connections. For many customers, urban growth can be slow and expensive. 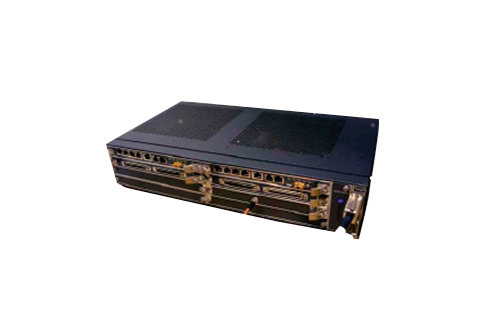 To help mitigate these concerns, Worldwide Supply offers both new and used Alcatel-Lucent MPR-9500 units. We believe that gives our customers access to high-quality radios without getting in the way of finding and serving new customers. Our experts review each used Alcatel-Lucent MPR-9500 that we acquire. Testing, repairs and scheduled maintenance ensure that all of these are brought up to original OEM standards. So, every refurbished Alcatel-Lucent MPR-9500 option listed below is the product of rigorous testing and certification. We also provide a lifetime warranty across all new and used equipment we sell. You get a strong new network enhancement at up to 80% off the original price. You also have access to international spare and repair services for this equipment. At Worldwide Supply, we pride ourselves on delivering high-quality products and reliable service. To continue this effort, we employ leading experts and engineers who are available 24/7. Our report and maintenance customers have constant access to leading minds when they need solutions, repairs, parts or answers to unique questions. This holistic approach helped us secure ISO 9001:2008 and TL9000 certifications, which fewer than 500 companies hold. We also take part in continuous monitoring and improvement solutions through the QuEST Forum and other partnerships. Our commitment is to your network, and we invite any questions you have through the quote buttons below.